-What product (apart from those listed above) would you like to try from Sheabutter Cottage? -Which article/feature did you like most in any past edition of Natural Bloom? 4. All entries must be received by 13th of February, 2011 - Midnight UK time. Winners will be announced on 14th of February 2011 and will be required to provide their postal address within a week (20th February, 2011). Avocado butter! Avocados are supposed to be amazing for your body so I can imagine that they are just as amazing for your hair. Hello and thank you for this giveaway. The products included in the giveaway are awesome enough but I would like to try the Avocado butter. This year I am finishing up my stash of purchased products and will try my hand at homemade. I enjoyed and was thoroughly inspired by the "Style is personal" feature with Kristal of the Feisty House. I love that it embodies the spirit of a natural who is completely in tune with her individual fashion sense. Both sound heavenly but I think I would prefer the rosewater. 1)From the website - Ximenia oil. I have been hearing good things about it. 1) I would like to try the hibiscus powder from Sheabutter Cottage. 2) Autumn's vintage hair tutorials. 3) I would prefer rosewater. I would like to try the Mango butter. I like the London Style Article in the January issue. Im from the U.S. and I have heard that in other countries there are different tastes in style and London style is so colorful and daring. I like that. 1 The avocado butter, sounds heavenly! 2 The ups & downs of the natural hair journey. I am only a week into this & trying to figure everything out. So this helped with knowing what to expect, and gave some encouragement. 3 I think either one would be awesome, but I guess I'll pick the rosewater. 1. Oh my god I love their fabrics! I'm really into headwraps lately so I'm definitely going to purchase some like right now. (Hopefully they deliver to the US). But product wise? The Kissi Oil! 3. Rosewater! Just to smell it... haha... I want my skin to be all dark and dewy for summer. I love tanning and I love glistening. q1. I'd love to try the strawberry seed oil, it sounds so light ans summery! Must be gorgeous for skin care! 1)id like to try the mango butter next! 2) natural entrepeneurs- new kids on the block, inspiring! - I would love to try the natural liquid African black soap. - my favorite article was the feature on Back to Curly's Chai! - and I would love to try the rosemary hydrosol! I would like to try Kaolin Clay from Sheabutter Cottage. - Would you prefer rosewater or rosemary hydrosol? I would prefer rosemary hydrosol. 1. What product (apart from those listed above) would you like to try from Sheabutter Cottage? 2. Which article/feature did you like most in any past edition of Natural Bloom? The article I liked the most was Ethiopian Hair Secrets by Alice of Alice in Nappyland in the November 2011 Issue. I'm always curious about different hair treatments and freshly churned butter was definitely new to me!! Who knew! 3. Would you prefer rosewater or rosemary hydrosol? I'd prefer the Rosemary Hydrosol. I like the many benefits of Rosemary. -What product (apart from those listed above) would you like to try from Sheabutter Cottage? The Afro Poo bar or the Carrot Poo Bar or the coffee butter, it's really hard to chose just one lol. I would definitely like to try the Avocado butter. I like the january 2012 Edition with the various vintage hairstyles and 'Style is Personal'. I could see me rocking some of those. Since I can get the rosewater from my local pharmacies, I would like to try the Rosemary Hydrosol. 1) I would love to try the Tucuma butter it's Omega fatty acids in it which I think would be good for dry hair in keeping it moisturized. 2) The April edition on split ends, the article on protein, Size Matters in particular really helped in my use of and search for protein conditioners. 3)I would prefer the rosemary hydrosol. Coffee Butter. I love the smell of coffee and I wouldn't mind smelling like it all the time! 1. I would like to try the Avocado, and Shea Butters. 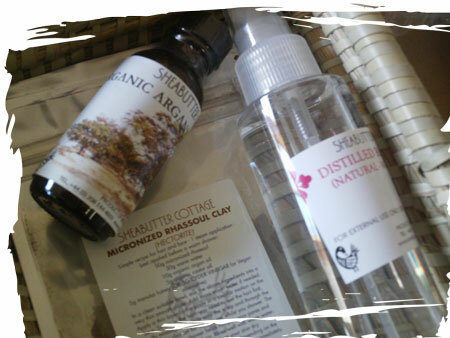 I can go on and on though there are lot's of great products I'd like try from Sheabutter Cottage. 2. Style is Personal in Jan edition. 3. I would have to say Rosewater because I've never heard of or tried the other one and just the name alone makes Rose Water sound more natural, but I could be wrong. 2. Hair Damage-Is it really necessary? As I'm getting into Ayurvedic herbs so I'd like to try Shea Butter's Aritha powder. I loved Alice's feature on traditional hair practices in Ethiopia from the 3rd edition of Natural Bloom. I would definitely like to try the Cupuacu butter. I'd love to try the L'Olio hair food. It came back in stock just after I had made a purchse, but sounds like it'd really nourish the hair! I liked the Buyer Beware article as sometimes I forget the risks of buying, especially online and get enticed by lovely sounding products/blurb. I particularly liked how you followed with an interview with Laquita of Bobeam, who runs her business in such a way that it is always a pleasure buying from her. I think the hydrosol please. 1. I would like to try the allanblackia butter. I haven't seen it for sale anywhere else and I'm interested in how it would fare in my homemade hair butter. 2. I liked the Getting to Love Your Hair article most. The parts discussing the difficult in finding a stylist and shying away from heat styling really ring true for me. 2. I would like the rosewater hydrosol. Q1: What product (apart from those listed above) would you like to try from Sheabutter Cottage? Q2:Which article/feature did you like most in any past edition of Natural Bloom? A:EVERY MAKEUP ARTICLE! I aspire to be a makeup artist so that is right up my alley. I also enjoyed the vintage hair article. Q3: Would you prefer rosewater or rosemary hydrosol? A: ROSEWATER bc from what I understand the hydrosol is face only. Rosewater is hair and body. I enjoy double duty prouducts. Avocado Buttter! Never have the chance to try avocado stuff on my hair but I read it's great! Hair Stories: The Ups and Down of natural hair. I'm still struggling with my twa and I like to know that I'm not the only one! Feb 2Oth is the day of Bday! Yay! 1. I would like to try mango butter. 2. 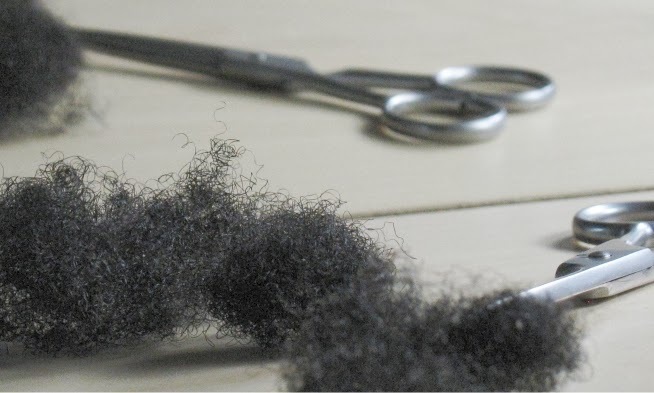 I enjoyed one of the first articles entitled "Trimming for Longer Hair". It gave me informed me of some bad hair practices that I have now rid myself of. 3. I would prefer rosewater. 3. I would prefer to try the Rosemary. The "Best Natural Hair Loss" article. Rosemary Hydrosol, please and thanks! I would love to try the organic coconut oil. 2) The Hair Stories (Ups and Downs) article in the Nov. 2011 issue. 1) I'd like to try the mango butter. I would like to try the sapote oil. I liked the article on Split Ends that was in the first issue of Natural Bloom. I would love to try the avocado butter. I loved the issue on vintage clothing especially since I think my style is very vintage. * pH of Shampoo : The Ultimate List! I would love to try the lavender jamaican black castor oil! I enjoyed the vintage clothes articles. I love thrift stores it's my new addiction. 2. The April edition - spilt ends, really informative. 2. I would like the rosemary hydrosol. 2. I really liked the getting to love your hair feature. 1. I would love to try the JAPANESE CAMELLIA KISSI OIL. 2. I still refer to and have loved the split ends feature the most, especially the 'how to trim' piece, just brilliantly informative! 3. I would prefer the ROSEMARY HYDROSOL. My favorite article has always been 'Why is my hair breaking?' in edition 1. I absolutely love this article because it really explained to me the damages I was doing to my hair even though I didn't even notice it. It ended up helping me reduce my hair breakage and giving me tips on how to help my hair progress in my hair journey. What product (apart from those listed above) would you like to try from Sheabutter Cottage? was "THE UP AND DOWNS OF NATURAL HAIR"
As the stories were just and fair. Such as hydrating skin and giving hair shine.